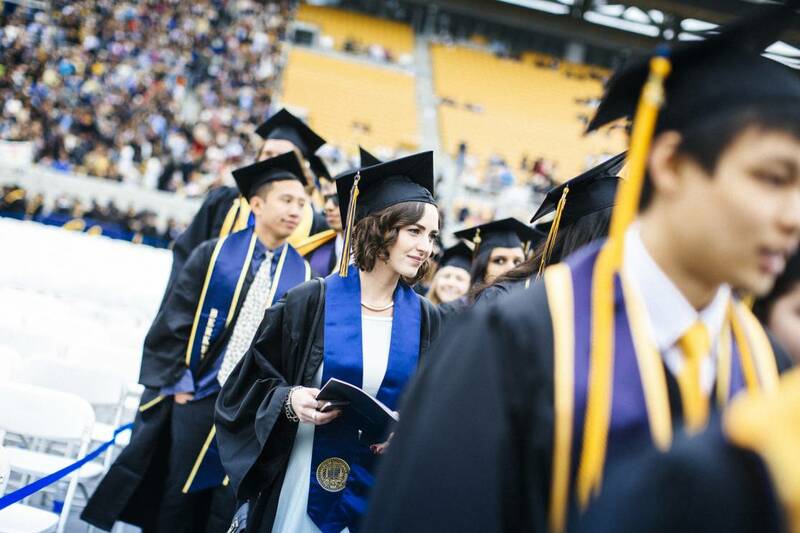 UC campuses compare favorably in both the share of Pell grant recipients enrolled and those students’ six year graduation rates when compared to American Association of Universities (AAU) member schools, California State University (CSU) campuses and a selection of other large state university systems. 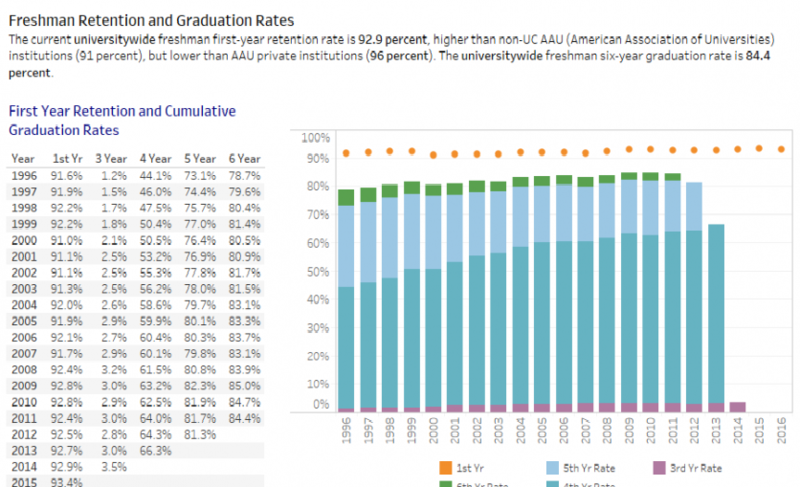 Freshman and transfer retention and graduation rates, time-to-degree, graduation GPA, and units by campus, entry cohort, and demographic. The University of California Undergraduate Experience Survey (UCUES) is a biennial survey conducted at UC’s nine undergraduate campuses. Information and academic outcomes for all California K-12 public schools. Fall applicants, admits and enrollments by first-generation status, residency, ethnicity, transfer GPA and gender. Fall applicants, admits and enrollments by first-generation status, residency, ethnicity, high school GPA and gender. Proposal and award data for sponsored project funding from federal, state, private and other sources, by year, location and sponsor category, with an option for inflation-adjusted amounts.